From the invention of the mid-engine single-seater in the 1960s to the creation of Cosworth’s DFV engine a decade later, the UK has always been a world leader in motorsport. The industry boasts an intoxicating mix of speed, precision and beautiful design – and for engineers looking to transfer their skills, there has never been a better time to join. Described by some as the jewel in the crown of British engineering, the sector currently employs more than 50,000 people in the UK, and generates a total of £11bn of sales each year. Around 4,500 firms are actively involved in the UK’s motorsport and high-performance engineering industry, and 87 per cent export their products or services. For these figures to grow, however, the industry must stay relevant. That means embracing low-carbon technologies that are a far cry from the gas-guzzling glory days of racing. In recent years, the industry has had a makeover, placing a greater focus on efficiency and ‘green’ technologies that can be transferred to road cars. The Formula E series, for example, is the first full electric-powered race series, while Formula One and Le Mans prototype cars have been using hybrid systems for years, requiring a whole new set of skills. Shaun Clayton, Prodrive’s human resource manager, agrees that, given the scale of the challenge, help is needed from non-traditional sectors. “Motorsport can often be the proving ground for technologies, while teams are always looking for new ideas that can give them an edge over the competition,” he said. 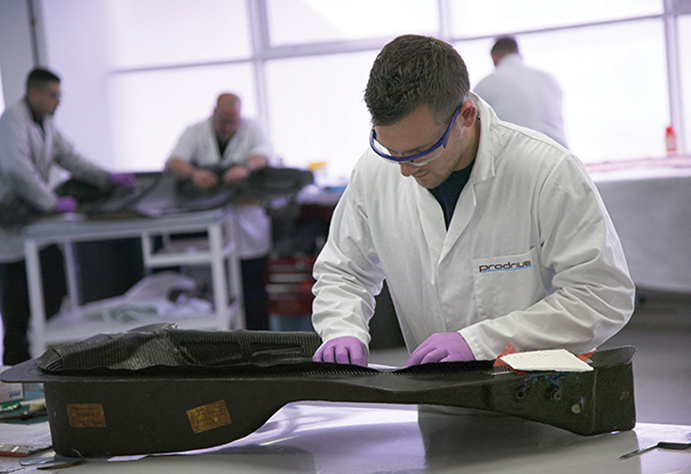 “At Prodrive, while motorsport experience is undoubtedly very helpful, we are always looking for people in other sectors that can bring a different perspective and give us that competitive edge. The challenge isn’t for the faint-heated. A Formula One (F1) car moves from idea through to completion within just 24 months. It uses more than 11,000 parts – 80 per cent of which will be redesigned during the course of a season. To produce such a large turnover, Clayton said that there are two key qualities that an engineer from outside the industry can bring to motorsport. First, there are the direct technical skills learnt from developing what are the highest-performance vehicles in the world. The second quality is what Clayton described as “the motorsport approach to working”. For more than 50 years, the UK has been responsible for more motorsport innovations than any other country. And now, given its focus on a low-carbon future, chances to innovate are even greater. For instance, Le Mans has an entry called ‘Garage 56’ in which a team can throw out standard regulations and create a concept car using new, innovative technologies. Deltawing is perhaps the most famous of the entries for its energy-efficient design that looks like a cross between a fighter jet and the Batmobile. Innovations from designing winning cars are also used in other industries. For example, the healthcare industry is using some of the lessons learned by McLaren Applied Technologies (MAT) in F1. Meanwhile, Williams has taken motorsport expertise in energy-efficient technologies into sectors such as public transport. rarely comes suitably equipped with the vital practical, ‘hand’ skills essential to employers. Most of the jobs exist in an area known as Motorsport Valley. This describes an area around 80 miles wide stretching from the south west of Birmingham through Northamptonshire and Oxfordshire. However, many firms also operate from elsewhere in the country such as London, East Anglia and Leeds. “Automotive is very different to motorsport,” said Aylett. “Motorsport demands a passion and commitment seldom seen in other industries. The problems experienced at this week’s Grand Prix will be solved before next week’s event, to be replaced by yet more problems demanding speedy resolution. Time management is an essential skill that simply complements the problem-solving capacity and capability demanded of the competitive racing environment. Can technology thwart Somalia’s pirates? You’re a decade out. Mid engined single seaters appeared in the 1950’s with Cosworth’s DFV arriving in F1 in 1967. 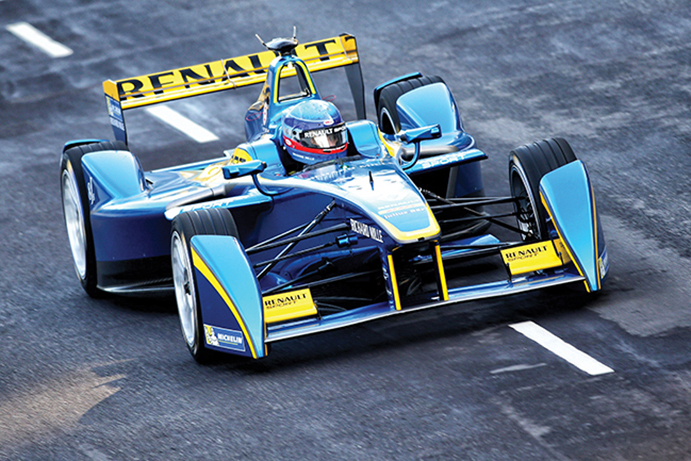 Formula E is emphatically not low-carbon motorsport. Most of the electricity used to power the cars inevitably comes from non-wind, non-solar sources. Then of course there is the massive ‘carbon footprint’ emanating from the staging of the races and spectator attendace. And don’t forget all the TV sets, kettles and toilet flushing that goes with home spectating. The bottom line is that you are always going to struggle to justify any entertainment on eco grounds as basically there is no need for it just a desire. Only legislation ( or War ) can push technology along at a rate above and beyond that required to turn a profit.